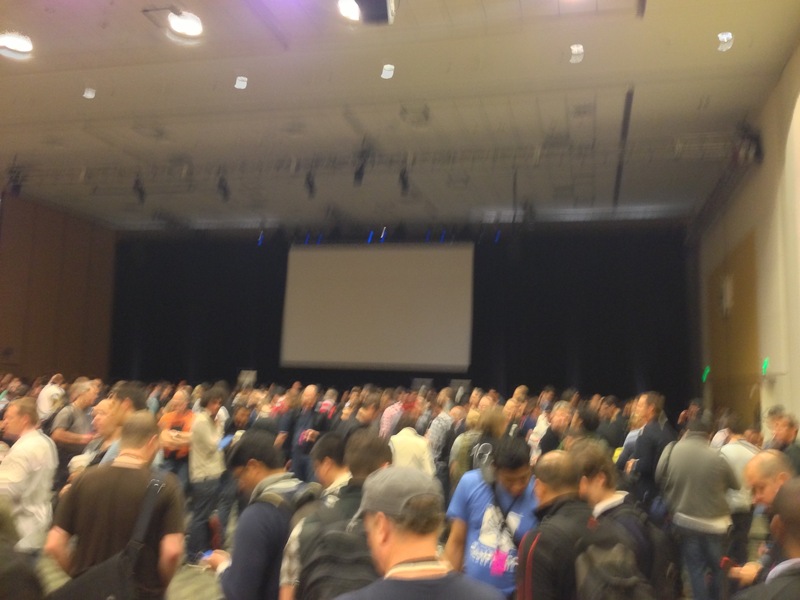 Apple’s Swift language, which is not even a year old, has grown on me in ways I would never have expected. Partly, that’s because it has opened my eyes to ways of programming I was unaware of. One of the programming paradigms that Swift forced me to at least look at was functional programming. What’s functional programming? Well, here’s a post by Guanshan Liu, Functional Programming in Swift, that does a much better job than I could ever do. And there’s a great book, Functional Programming in Swift. Simply put, functional programming allows functions to be used as parameters within a function call. Is that very useful or just another egg-head, ivory-tower CompSci methodology that no app developer really needs? Hardly. 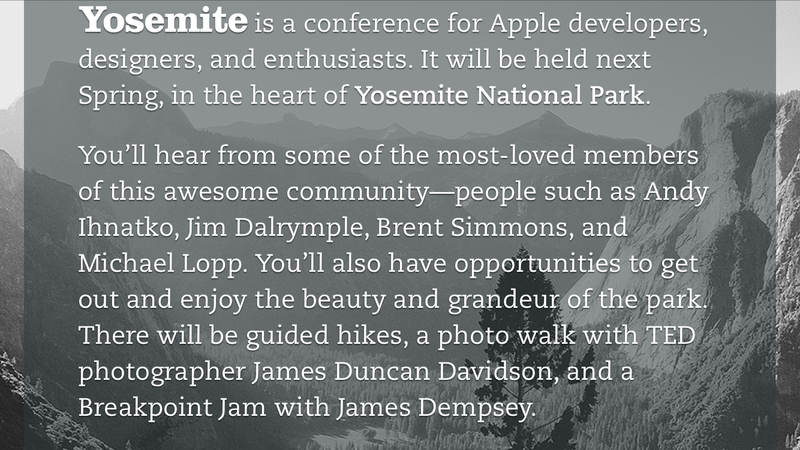 The CocoaConf developer conference will be at the Yosemite (fitting name, huh?) National Park April 20-23. They always have a good set of presenters and 2015’s looks great. So hope you can make it. There’s a discussion over at the Pebble forums about whether a user should be able to manage multiple Pebble watches in the Pebble app for iPhone or Android. Why manage switching between multiple Pebbles from the Pebble app? Well, for one, it’s a better user experience. Most customers wanting to do anything with their one Pebble, or many Pebbles, will naturally go to the Pebble app. That should be embraced. The Pebble app should be the single place for all things Pebble. Doing that affirms a positive user, and therefore brand, experience and keeps the user focused on Pebble. Having an app that allows customers to manage multiple Pebbles in an easy way will also encourage them to buy more Pebble products. If managing another Pebble becomes a hassle, then Pebble potentially looses additional sales to a current customer. Worse, that now less-than-satisfied customer means it’s less likely Pebble sells to others who read or hear that the app isn’t that convenient. Anecdotally, think where the iTunes ecosystem would be if you couldn’t manage multiple iPods, iPhones, etc. within the iTunes app. The answer is, not the dominant position it is in today. Since I haven’t seen this on Stackoverflow, the following is a method to transform a vector (GLKVector3) based on an attitude quaternion (GLKQuaternion). First, assume that you have a GLKVector3 as input, call it inputVector3. inputVector3 could be yaw, pitch, and roll influences from an aircraft’s control surfaces or thruster output on a spacecraft. You know your vehicle’s attitude and have calculated that attitude into a quaternion. So, the goal is to have the inputVector3 transformed into an ivar, say GLKVector3 deltaV, that is in terms of the vehicle’s attitude. //Convert the normalized attitude quaternion into a GLKMatrix3. //the attitudeQuaternion GLKMatrix3 with the necessary GLKVector3.